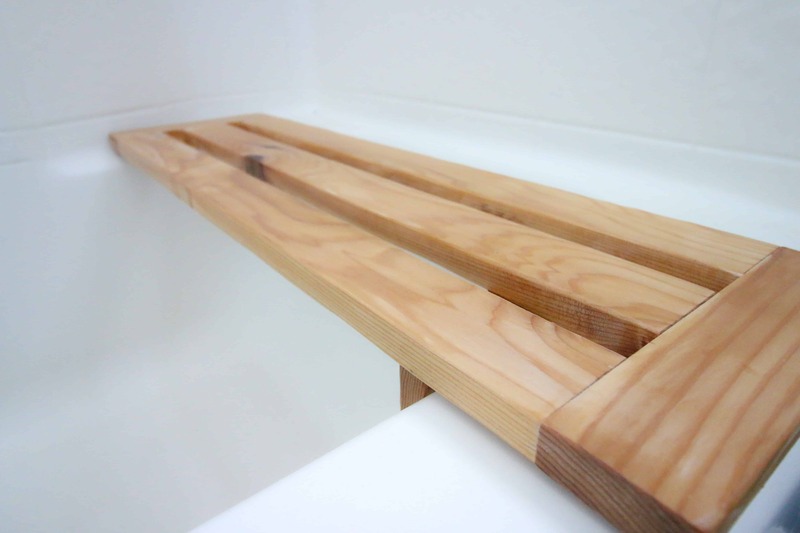 We recently built a simple tub bench for using while bathing our son. We were squatting or kneeling in the guest bathroom tub and it was uncomfortable. By adding a tub bench, we can sit and take pressure off our joints. This tub seat is customizable if your tub is not standard width. If you need your own shower seat, this will work as well as long as you have two sides to prop the seat on. I started by measuring the tub. It’s a fairly standard shower/tub combo, but make sure to measure for your tub bench first. I measured from the edge of the tub to the wall, being careful to take any curved areas into consideration. 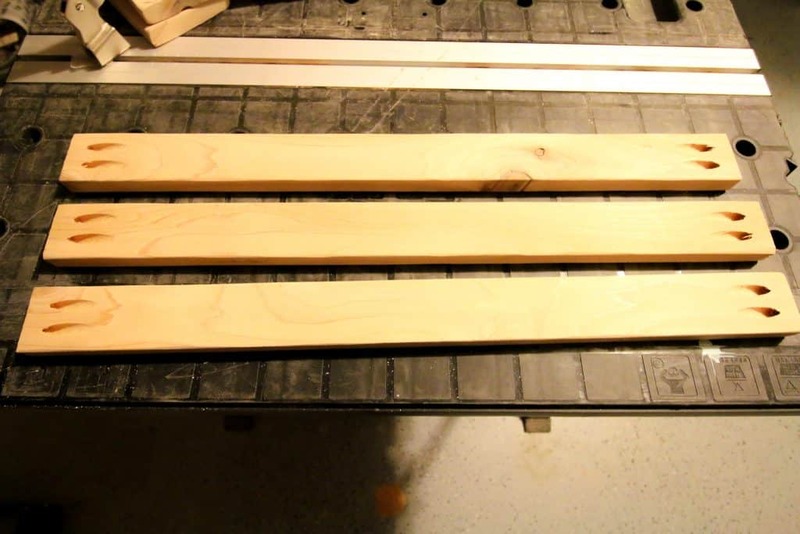 My whole bench is 28″ wide. 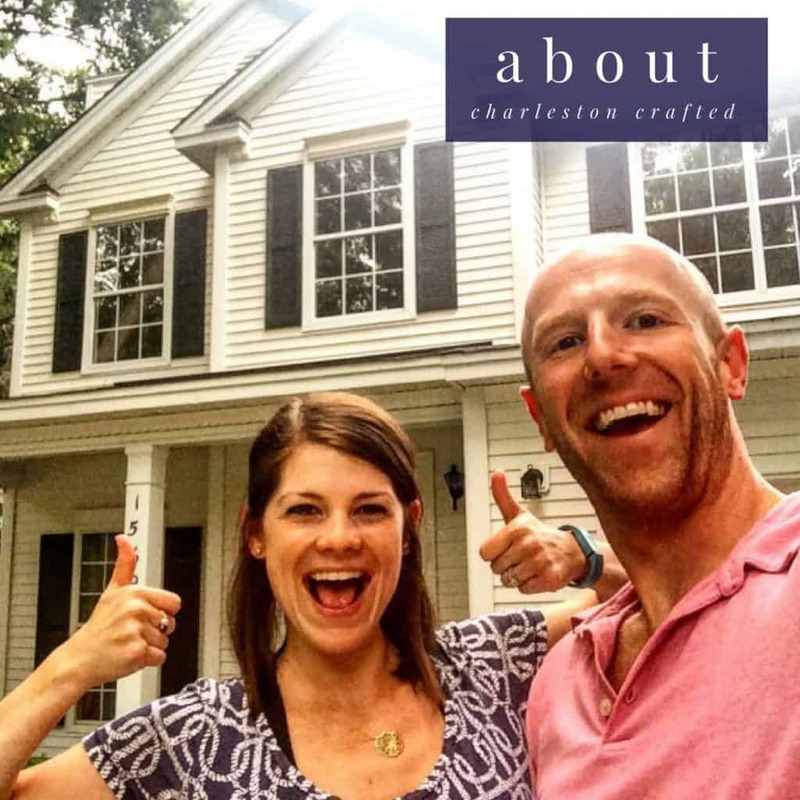 I used 1″ thick cedar for this project because cedar holds up well in areas of high moisture. Makes a lot of sense for a tub seat. 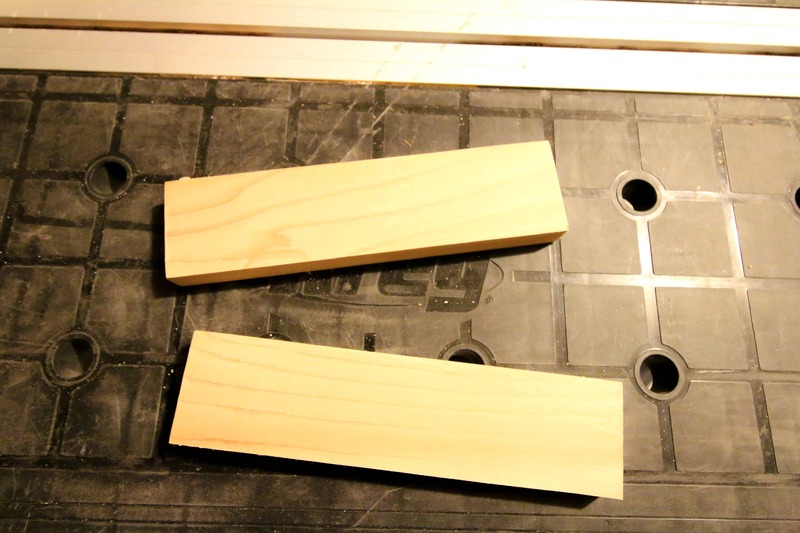 First cut two 8″x2″ pieces for the sides. Then, cut three 24″x2″ pieces for the slats. 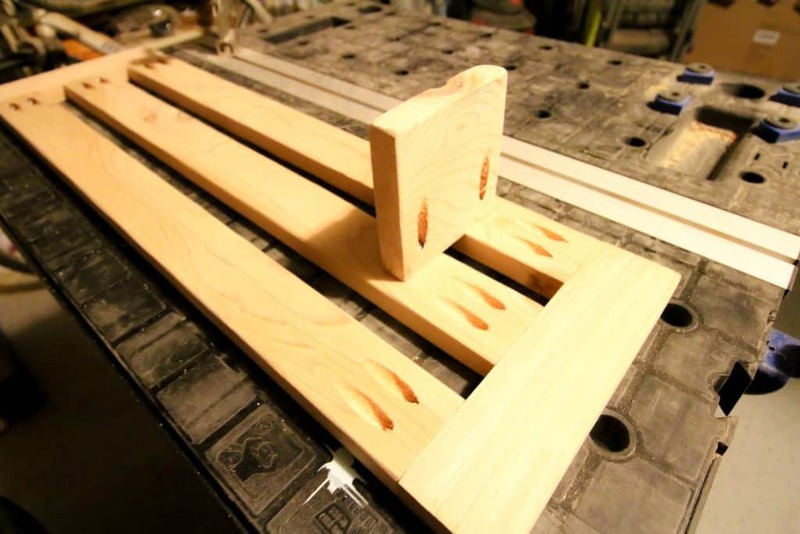 Add two pocket holes to each end. Finally, cut one 4″x4″ support piece to hold the seat in place against the wall of the tub. Add two pocket holes to one side. 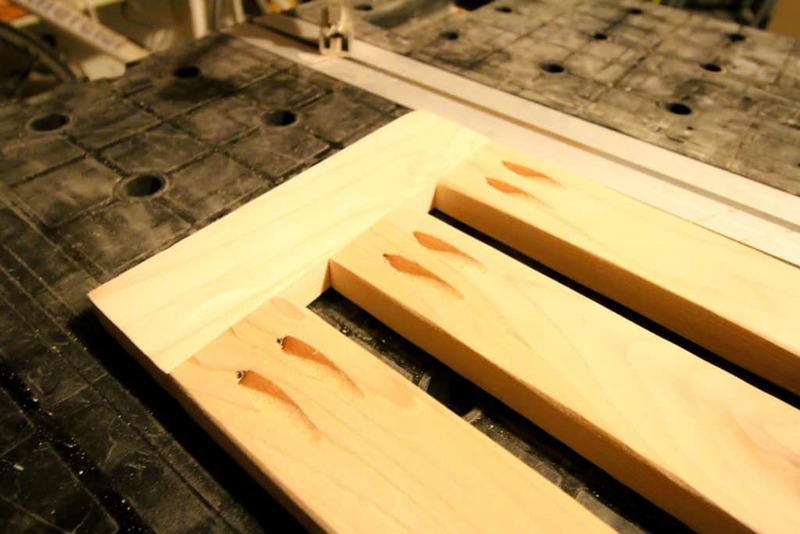 Start by attaching a slat flush with each end of the side pieces. I used Kreg Jig pocket holes to attach them to make sure it was secure since I’d be sitting on it. 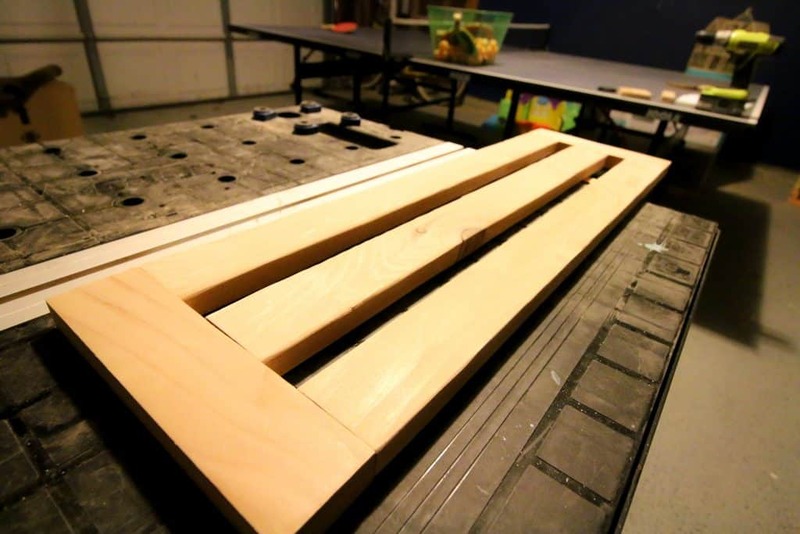 I then added another slat in the middle with a one inch gap. Once the top was built, I took it up to the tub to verify the placement of the support piece. 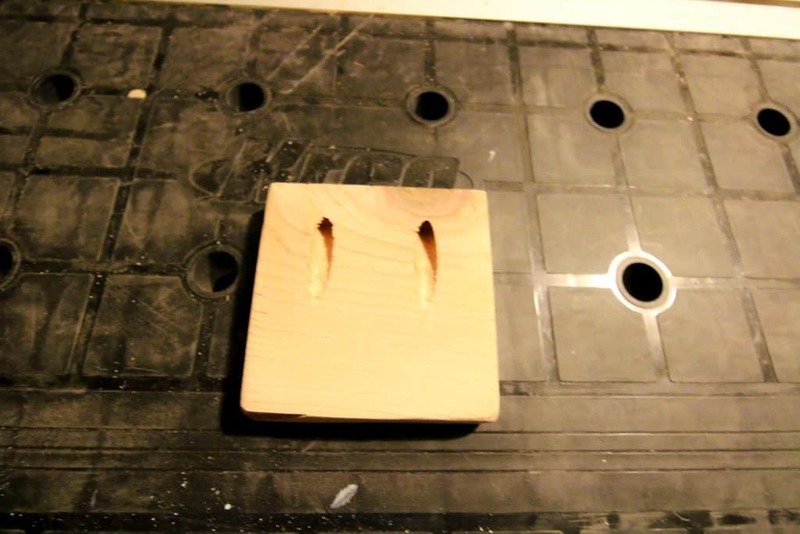 I again used pocket holes to firmly attach this piece to the underside of the bench. Even though it was cedar, I decided to finish off the whole thing with a coat of spar urethane for added protection. The bathtub bench turned out great! I love that this is a removable tub seat that we can take out when guests use the shower. 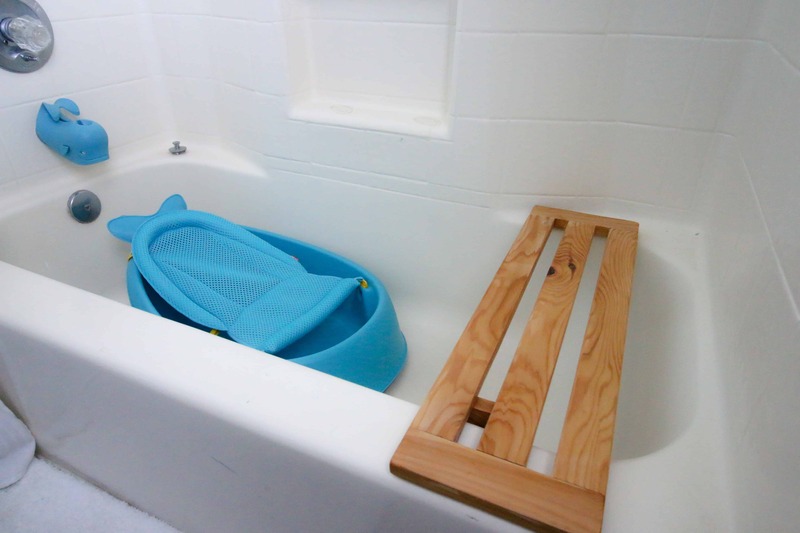 For us, this tub bench is perfect for sitting on when bathing our child in his baby tub.